A few days ago I was reading a book about crimes to find material for another blog I have about crime in the Spanish language. You can read it here if you want: www.ondadelcrimen.blogspot.nl , but I warn you that it is in Spanish. But OK, the case I was reading about was the murder of Carinne vande Putte, a case that shocked Belgium and had resound all over Europe. Carinne was murdered by her parents for the only reason that she was born without arms. The cause of her deformity was Softenon, a medicine containing the substance Thalidomide, which was prescribed to pregnant women in the late fifties and early sixties to combat some of the health complaints produced by pregnancies like headaches and sleeplessness. 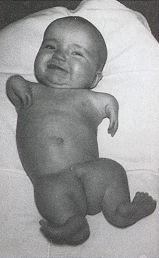 Dr. McBride, an Australian gynecologist warned that babies were being born with severe damage to their limbs and that he suspected the cause to be Thalidomide. Although McBride tried to warn his colleagues and the distributor of Thalidomide in Australia, and that similar events were happening in Western Germany, the pharmafia, blinded by the profits and who always cared more about profits than about the health of patients anyway, went ahead with selling Thalidomide and even tried to place it in the public health systems. Thalidomide wasn't totally retired from the market until 1962, when there were already more than 100.000 babies affected all around the world. Around 60.000 of them died already of cancers and other Thalidomide related diseases. Most of the victims never received any compensation. But let's go back to Carinne's case. She was murdered by her parents for the only reason of not having arms. She wasn't even between the worst cases of Thalidomide victims. If we consider that around 40% of Thalidomide victims are still alive, the chance is high that she would still be alive today if she had not been murdered by her parents. vande Putte and Suzanne Coïpel, directly asked the doctor to kill her. Of course, he refused. After Jean and Suzanne were allowed to take their daughter home, they directly took their daughter to a general practitioner called Dr. Casters and they also asked him to kill their daughter. At first he refused, but in the end he prescribed them drugs for their daughter that mixed with milk would produce her death. One day later Carinne was dead. But what the murderous parents didn't know is that the doctor who refused to kill their daughter in the hospital was seriously concerned by Carinne's security warned the police as soon as they left the hospital. The police immediately started an investigation. As soon as a doctor looked at Carinne's body, he immediately could see that Carinne had been murdered. Carinne's parents and Dr. Casters were arrested together with the aunt and grandmother of the girl, who administered the poison in Carinne's milk bottle. 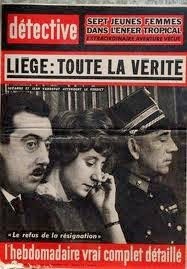 Liege: the whole truth. Front-page about the Carinne vande Putte murder case. Although the parents recognized to have murdered their daughter and there was enough material and circumstantial evidence against them, the jury acquitted the five accused. The vande Putte case was the first case of euthanasia which was known and that went unpunished. It set a precedent. That's why it isn't strange that Belgium has just become the first country in the world to legalize euthanasia for children of all ages. It wouldn't amaze me that Thalidomide was all along a conspiracy to create deformed babies to start putting in people's minds that it is OK to euthanize babies. In 1962 euthanasia wasn't legal anywhere and abortion was in most countries either illegal or only permitted in very few circumstances. Since then the gang of thieves and murderers who dominates this world has had a great success in achieving their murderous and eugenic goals for the New World Order. 1962 was 52 years ago. Many things happened since then. As with many things, in this case the New World Order has chosen the augmentative approach. Society is like a frog. If you throw it into boiling water, she immediately will jump out of the pan, but if you put it in cold water and slowly you start to increase the temperature in the end the frog will cook and die. If in 1962 they would have tried to legalize abortion and euthanasia at once they would have got little less than a popular revolt. But the satanic elite is controlled by the devil, and the devil is smart, very smart, and he has plenty of time and patience. First they allowed abortion for some cases. Later they legalized it altogether. Once abortion was totally institutionalized in western society, they started with euthanasia. At first it was only for sick people who didn't have any chance of recuperation. Then they allowed it also for disabled people. Now they just allowed it for children and they are already making plans to start killing psychiatric patients. And now, as a last step, the dutch liberal party VVD is proposing that anyone can end his life without needing to give any reason for it. During all this time, the dutch "christian?" parties CDA, CU and SGP either fell into a murderous complacency or at best they displayed a tame and timid opposition. Fortunately, God does not forget such terrible crimes, and so, former dutch minister of public health Els Borst was found dead in her home on February 8th 2014. She was one of the main proposers of the dutch euthanasia law of 2002, which was the first step to the excesses that we see now. She was also one of the main proponents for the reform of the dutch public health system, which ended up skyrocketing the prizes of health insurances, making them unaffordable for the poorest elements of society. The message was clear: if you want healthcare pay for it, and if you don't have money we can give you a poisoned injection so you don't cost us money. 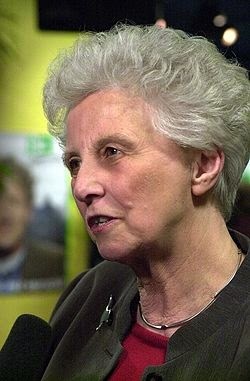 The infamous Els Borst, the minister who brought euthanasia and healthcare privatization to The Netherlands, in the end got her deserved fate. I can also not finish this article without denouncing the hypocrisy of some US right-conservatives and of the Spanish government. According to US right-conservatives we should keep patients alive as long as possible, but they want the patients themselves to pay for it, what often forces families to go deeper and deeper into debt and endly into bankruptcy. In Spain, the conservative government of the corrupt Mariano Rajoy and his criminal gang of thieves wants to limit abortion but at the same time they are cutting back in subsidies for children and for the sick. So, they want more children to be born in Spain but they do not want to help families to care for them. But for sure the most scary developments about euthanasia in the world are taking place in the Benelux. As I have told you above, Belgium just passed legislation which will allow children to be murdered. According to this infamous law, the kids will have to ask themselves for the euthanasia. But how can a child of 2 or 3 years old take such an important decision by himself? Of course he can't. In the end his parents and his doctors will take the decision for him. Belgium has become the first country in the world with no age limitations about euthanasia. But the deadly path to child euthanasia was started in The Netherlands. 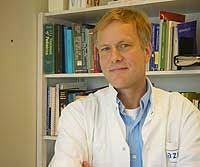 In 2004, Dr. Eduard Verhagen aka the butcher of Groningen wrote the Groningen Protocol, which allows the murder of new-born babies of up to one year of age. Dr. death. Of course, any normal pediatrician goes around with a syringe full of poison killing his own patients, isn't it? Or maybe in The Netherlands they do. The corporate media wants to give us the impression that most of the European public opinion is mostly in favor of euthanasia, 64% of the British, 56% of the Greeks and so on, but if you look around the Internet you'll see that most of the comments the people post are against it. Carlo Giovanardi, former Italian minister of parliamentary affairs said that the Groningen Protocol was the resurrection of the Nazi thought. I do not agree with him, since Nazis were careful enough to keep these practices secret, but the shameless Dutch government just do it openly. In Europe, the euthanasia movement is becoming more and more extreme. It's no longer about individuals with incurable diseases and great suffering with full intellectual functions who choose to be killed of their free will. Now they are proposing that anyone that wants to be killed, healthy or sick, young or old, should be able to ask for euthanasia. I see no point in passing a law like that, because if a healthy individual wants to commit suicide he already has many methods at his disposal. Unless the objective of this is to use it as a first step to give the choice about somebody's death no longer on the individual himself but on the state. We already start to see this trend. In 2005 doctors of the Free University Medical Center of Amsterdam wanted to raise the morphine dose of a baby as a first step to end his life. The parents refused because of their Islamic religious beliefs. After the negative of the parents the doctors asked the Dutch Child Protection Services to take away the custody of the child from the parents so they could be able to kill the child. But even more alarming than euthanasia is the vile and degenerate act of abortion. With euthanasia many people still has doubts, but the last years people started to see abortion as something normal. Abortion is the most important eugenic tool in hands of the New World Order. The upper class woman that kills her child to continue her career exists also. But most women that murder their child(the most repugnant act that a mother can commit), are of the low, and low-middle class. Fortunately, a few civilized countries still resist this trend. 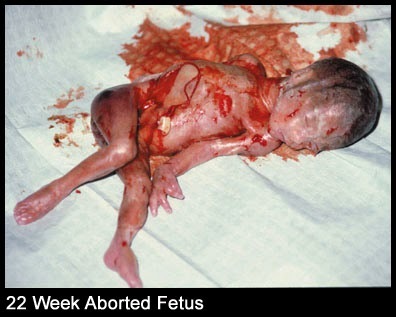 There is only one way to fight against abortion, and is treating it as what it is, a murder. Mothers and doctors that commit abortions should be treated as the murderers they are and be thrown in jail, and once the doctor ended his jail term, he should never again be allowed to practice medicine. Through history, life has always been the highest value. It's not the same the deaths fallen in wars or even executed through the justice system than those murdered through abortion or euthanasia. Executions in the justice systems are against criminals who committed a crime, often murder. Some think that they are guilty and for justice they should be executed. Others think that they have the same right to live as anyone else and they shouldn't. Both opinions are respectable. Wars have been happening since the beginning of times and they won't stop happening. But the victims of abortion of euthanasia didn't commit any crime. Aborted babies have also an all life in front of them, which their murderous mothers and the evil doctors who help them steal. The work of the doctor is no longer to protect the life of his patients. If you don't believe me just look how the New World Order changed the Hippocratic Oath to their convenience. I will maintain the utmost respect for human life from the time of its beginning. I will maintain the utmost respect for human life. But anyway, many doctors not even take an oath nowadays. OK, I don't want to depress you, but be aware that the New World Order wants to eliminate most of us.